Last year we inherited Christmas Ornaments from my FIL, as he was getting the house ready for sale. I love ornaments, and I knew the box was full of treasures. Add those to the ornaments I already had from my grandparents, and I had enough to fill another tree! That justified, I ran off to Target to get one. This tree is in the front hall, and as long as Cindy doesn’t brush by it too fast or hard, and I attach the ornaments instead of just hanging them, everything will be safe. I wanted a skinny and tall one, because there just isn’t a lot of space, but unlimited height. But I didn’t want to spend a fortune, so I ended up with a skinny 8 footer. I will post a finished photo, somehow I never got around to taking one last year…despite the fact that the tree was up until almost March! 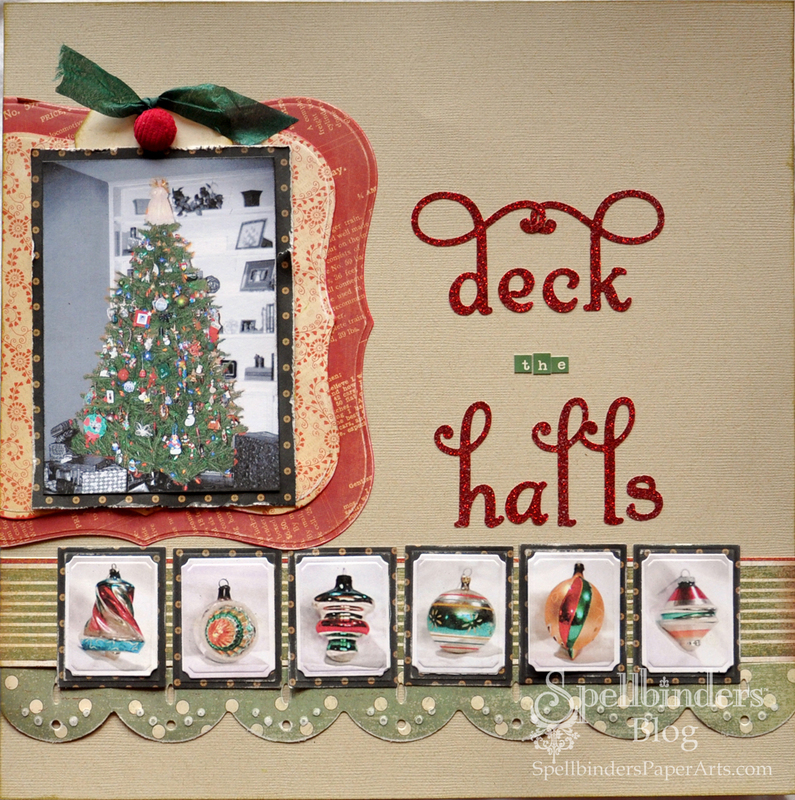 I used these supplies: Spellbinders Grand Calibur, S4-284 2010 Holiday Trees; LF-161 Grand Labels One; S7-018 Big Scalloped Border Grand; S4-168 Large Labels; S4-130 Classic Rectangles SM; SCRAPBOOK ADHESIVES BY 3L™, MyStik permanent adhesive; Graphic 45, Playtimes Past – Jack and Jill, Transatlantique – Around the World, Christmas Past – The Holly and the Ivy and Deck the Halls papers; WorldWin Papers, Treasures Kraft cardstock; Nikki Sivils Scrapbooker, Warm Cord Brads; Cosmo Cricket, Tiny Type stickers; Creative Impressions, Satin Ribbon; Clearsnap Colorbox, Black Pigment and Dark Moss Fluid Chalk Inks; Making Memories, glittered alpha stickers, tag, Ranger Distress Antique Linen ink.